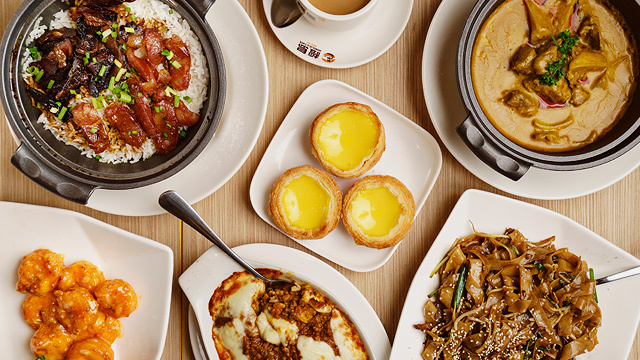 (SPOT.ph) Food is good enough reason to fly all the way to Hong Kong—after all, the nation’s cuisine is an intriguing mix of East and West thanks to their rich history and culture. 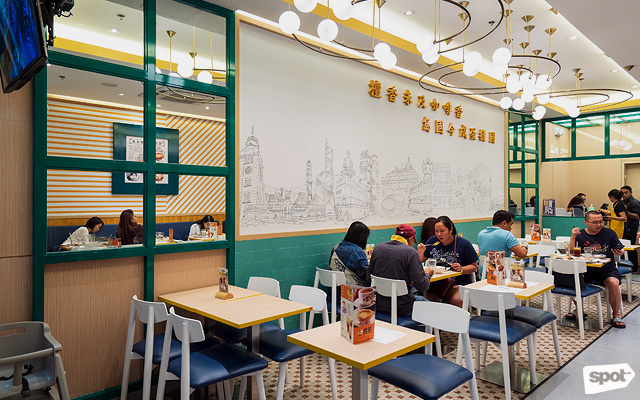 One of the great things that resulted from this cultural mishmash is what they call “cha chaan teng,” or tea restaurants, which you can find scattered all over the island. 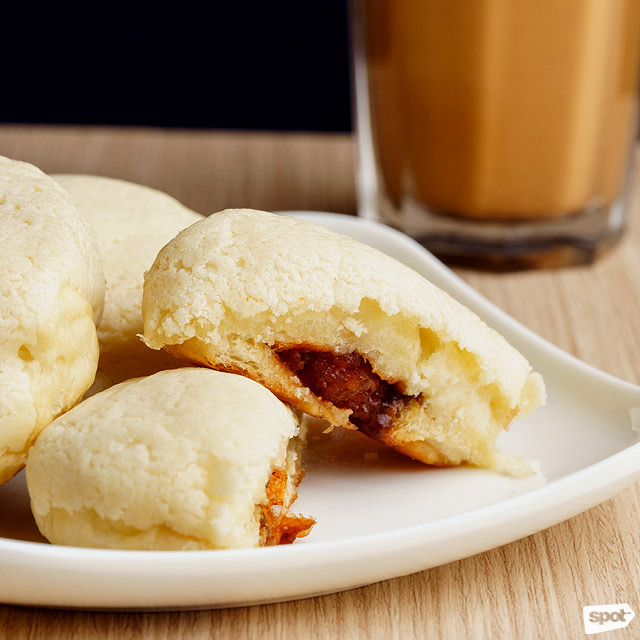 These egg tarts have a creamy center that's great with any hot drink. You'll find a lot of great afternoon-snack options here. 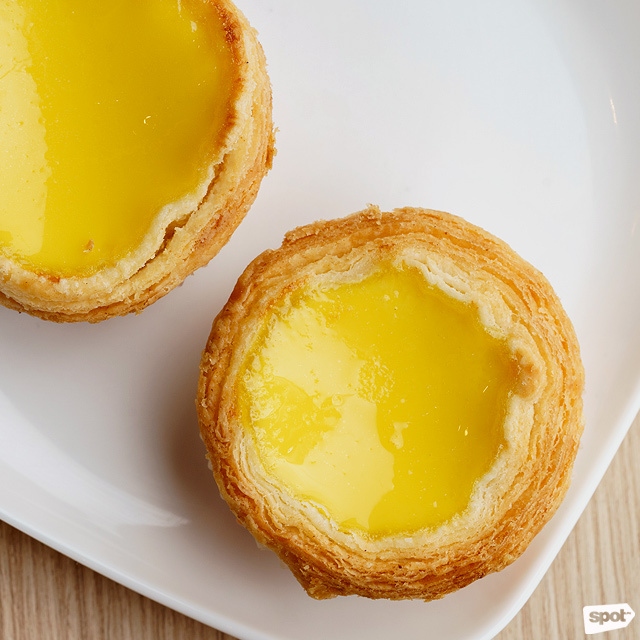 Regional Executive Pastry Chef Ken Leung Ka Kin shares, “[The egg tart] has 192 layers of crust and the filling is like a custard egg. It’s very soft and cooked in the perfect temperature in a special oven from Hong Kong.” Word of advice: Go there early. 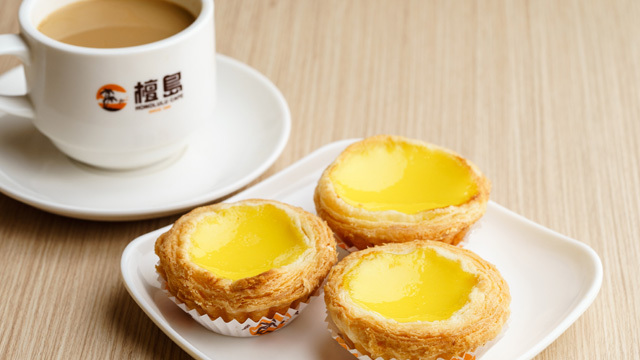 The egg tarts are baked fresh and sold in limited quantities every day. 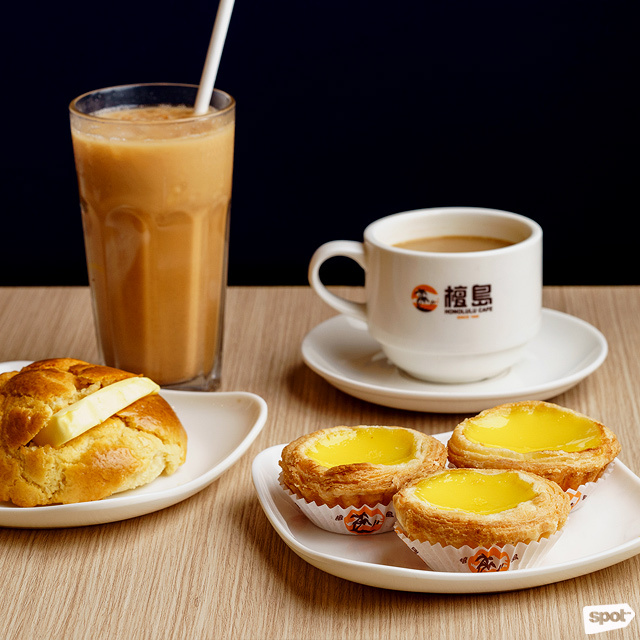 The Egg Tart goes well with any of Honolulu Café’s signature drinks. 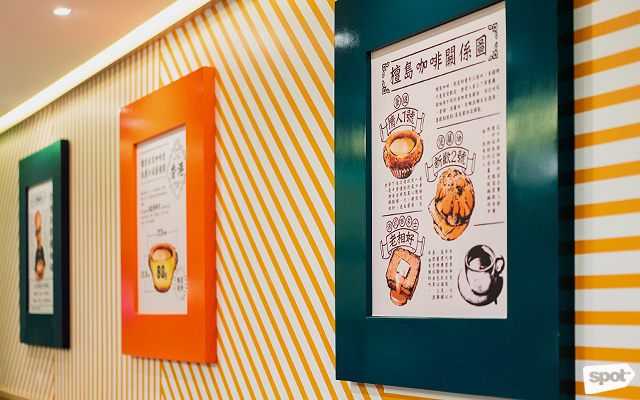 A staple in any Hong Kong breakfast place, the Hong Kong Style Milk Tea (P120) is as classic as it gets. 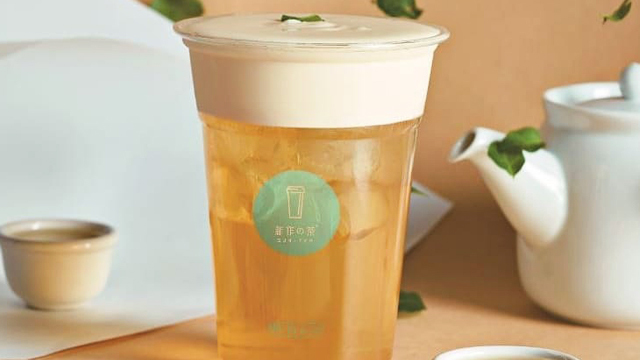 The hot beverage, which you can also get iced, is strong enough to wake you up; its condensed milk tempering the black tea’s robust earthy flavor. 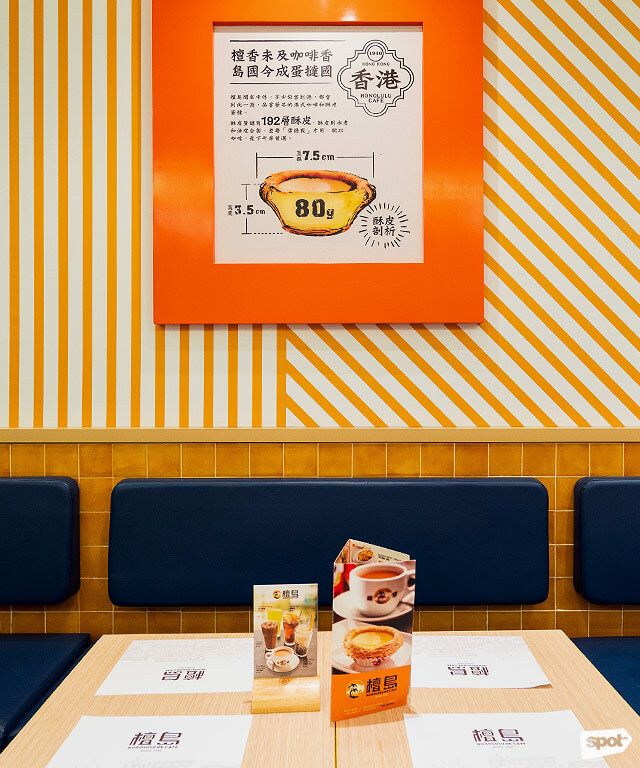 You can also go for their Hong Kong Style Coffee (P120), which flaunts a special (but secret) coffee blend that’s equally hard-hitting—it’s perfect to start your day with. The Deep Fried Prawn with Thousand Island is tangy and sweet and a good match with rice. 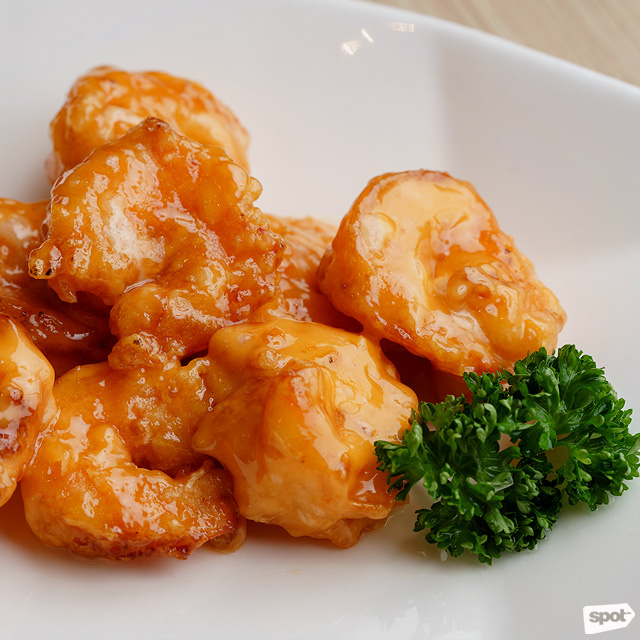 One of their best-selling dishes is the Deep Fried Prawn with Thousand Island Sauce (P488). It might seem like your ordinary sweet-and-sour fried-shrimp dish, but trust us—it’s not. 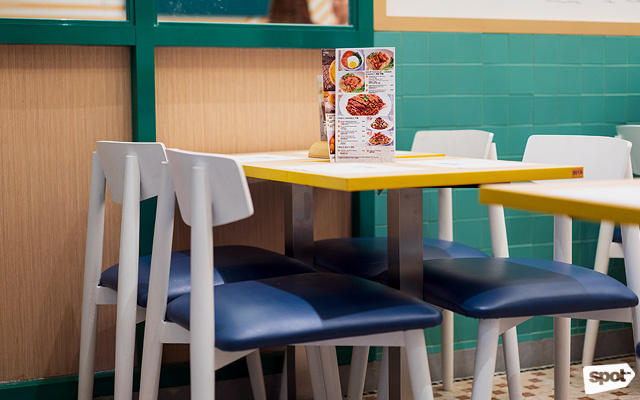 A tangy and mildly spicy thousand island dressing coats each golden crunchy-on-the-outside-succulent-on-the-inside morsel, while the shrimp’s natural sweetness explodes with every bite. 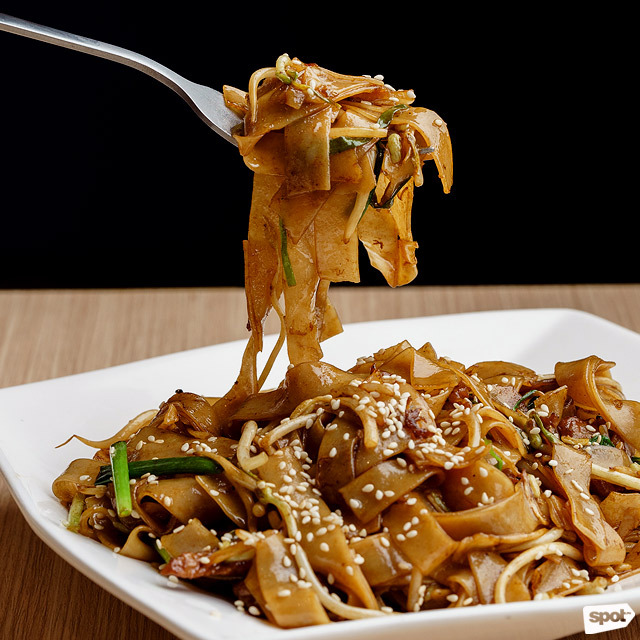 Their Stirred Fried Flat Rice Noodles with Beef will remind you of beef hofan! A dish that’s good to share is the Stirred Fried Flat Rice Noodles with Beef (P268), which combines smoky noodles and stir-fried beef strips with crunchy bean sprouts. The chives and sesame seeds add a whole new dimension of freshness and earthiness to the pasta, while its rich, beefy flavors add a delightful depth. It’s very similar to the Chinese hofan dish most of us are familiar with, plus, you can have this as a snack or a full meal. 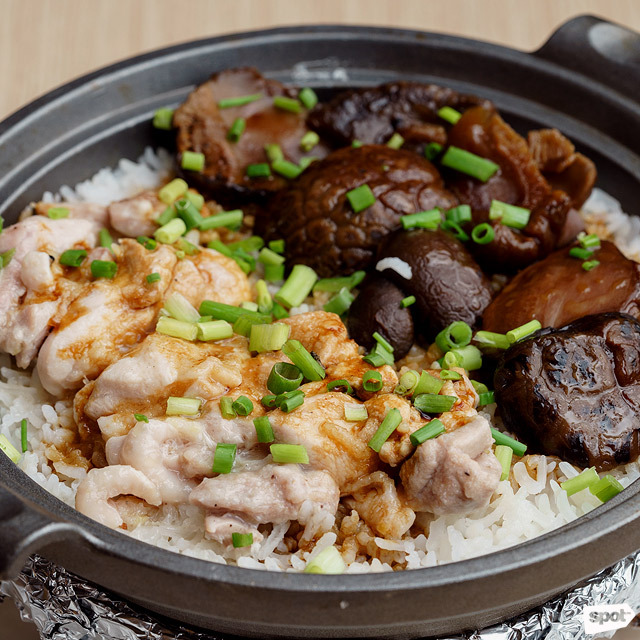 The steamed-rice dishes are served in a covered casserole so your food is piping hot until your last bite. If you’re craving rice, try the Steamed Rice with Chicken and Mushroom in Casserole (P198), a bowl with just enough carbs, protein, and veggies to last you until your next meal. Its mildly seasoned chicken perfectly complements the umami shiitake mushrooms and savory sauce, and it’s served in a covered casserole to preserve the heat—in case you want to set it aside for later and have dessert first. Anything with cheese is comfort on a plate. 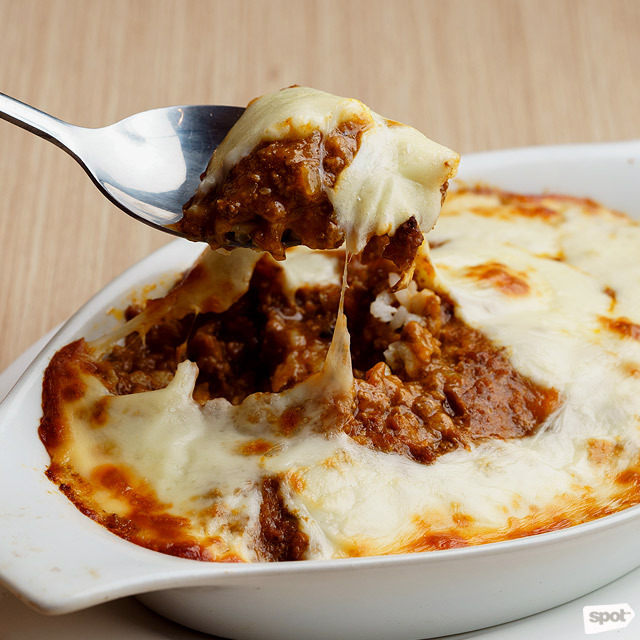 The Baked Rice with Minced Beef Bolognaise (P298), on the other hand, is a complete meal in itself. Hiding underneath an overflowing layer of zesty tomato sauce and gooey melted cheese on top is steaming white rice with savory minced beef. It’s practically comfort on a plate—just don’t forget to include every element with each spoonful for that satisfying bite. The spicy Beef Brisket will have you ordering another cup of rice. 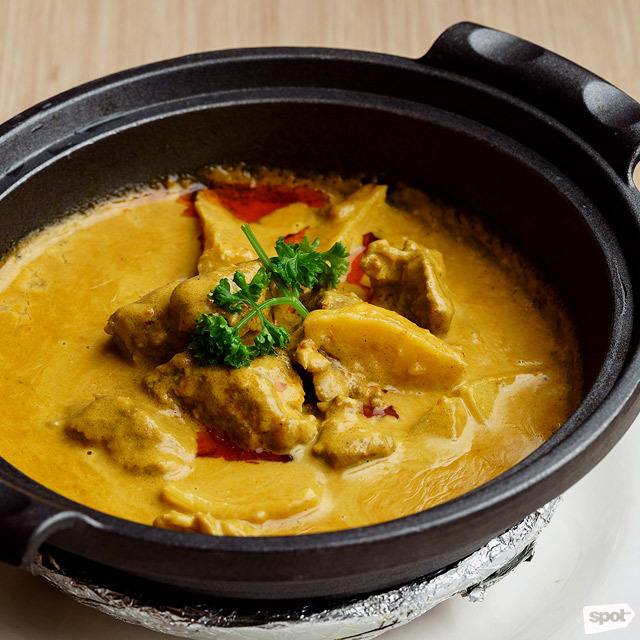 But if there’s one thing you shouldn’t miss at Honolulu Café, it’s the Beef Brisket (P328), with fork-tender chunks of beef swimming in a sea of curry sauce, mellowed down by creamy and sweet coconut milk. It may appear spicy because of its intense yellow-red hue, but the heat level is quite tolerable. It’s the kind of dish that would make you want to have it with a cup of rice (or two). Don’t worry, we won’t judge. 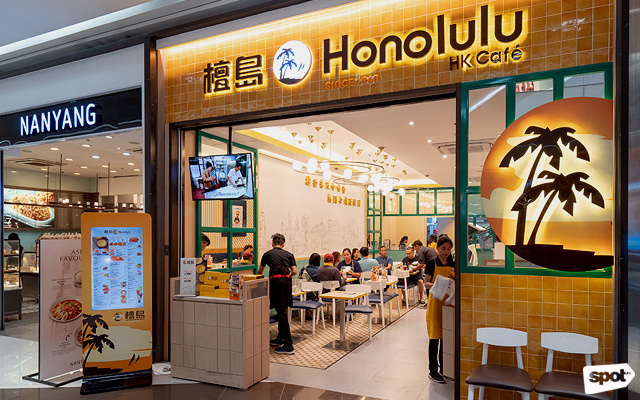 At Honolulu Café, you’re sure to get the same experience as the last time you went to any of their outlets in Hong Kong, Taiwan, Singapore, Malaysia, or China. 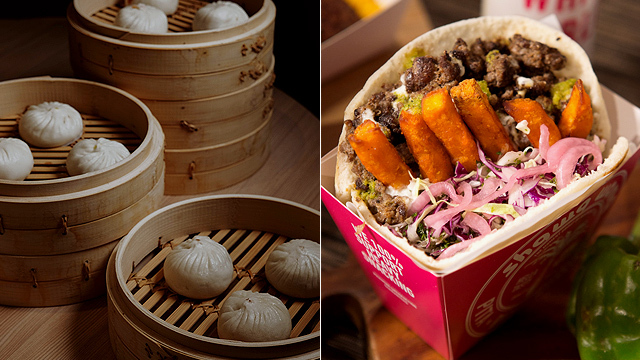 The secret: Most of their ingredients are still imported from Hong Kong. They also have savory pork buns. Chef Ken shares that they eventually plan to add more dishes and even introduce new and egg-tart flavors (hello, pandan and chocolate!) to their menu. Who else is egg-cited?